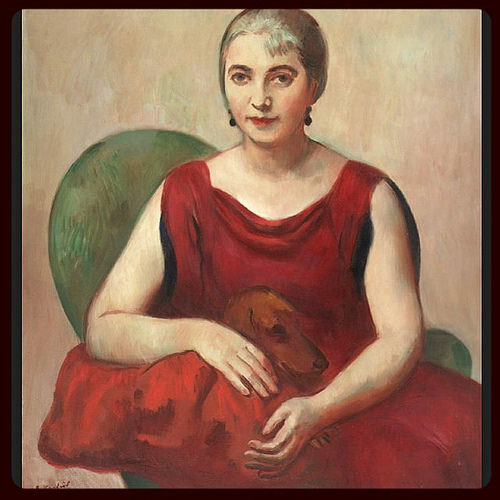 Born to a Jewish family in Odessa, Russia (now Ukraine), Edith Halpert (1900–1970) was the first significant female gallerist in the United States, propelling American art to the fore at a time when the European avant-garde still enthralled the world. In 1926, Halpert opened the Downtown Gallery in New York City, the first commercial art space in bohemian Greenwich Village. She deliberately promoted a diverse group of living American artists, fundamentally shifting the public’s opinion of whose voices mattered in the art world. Though an outsider in many respects—as a woman, an immigrant, and a Jew—Halpert was, for over 40 years, the country’s defining authority of the American art landscape. Not only did her trailblazing career pave the way for the next generation of women leaders in the art world, Halpert’s inclusive vision continues to inform our understanding of American art today as being pluralistic, generous in its parameters, and infused with idealism. Halpert’s socially progressive values were on full display at her gallery. In addition to regularly presenting work by women, immigrants, and Jewish artists, the Downtown Gallery was the first major mainstream art space in New York City to promote the work of African American artists, including Jacob Lawrence and Horace Pippin. When the Japanese American painter Yasuo Kuniyoshi was classified as an enemy alien during World War II, she mounted a defiant exhibition of his paintings in 1942. From Georgia O’Keeffe to Ben Shahn, the artists she supported became icons of American modernism. With her revolutionary program at the Downtown Gallery, Halpert inspired generations of Americans to value the art of their own country, in their own time. Halpert’s insistence to support free expression and diverse perspectives as defining features of American art and culture has never been more timely or relevant. Edith Halpert and the Rise of American Art will feature approximately 100 works of American modern and folk art that passed through the Downtown Gallery. Highlights from Halpert’s acclaimed personal collection, reassembled for the first time since its landmark sale in 1973, will also be on view.